This 2,500 sq ft home is located down South Montgomery street in Colonial Hills neighborhood. It features 4 bedrooms, 2.5 bath with a nursery. Additional amenities include a large play room for the kids, two sectional couches, and a big fenced in backyard. We are just 3 miles from Mississippi State's campus. DirecTV, Wifi and a quiet neighborhood make this the perfect place to go for a run and come back to watch the big game. Plug in our outdoor lights and enjoy some corn hole on our back patio. Opportunities are endless with this kid friendly home. This is our families home, that we rent out for an occasional game-day weekend or special event. You can expect it to be well stocked and very well loved and cared for. Please expect our closets to be full with clothes and the playroom full with toys. We hope you will enjoy yourselves here and make our house your home for the weekend. Welcome to Starkville! We are Colton and Kaylee and we have two little ones. This is our full time home that we love. We enjoy renting it out for gameday weekends and other special events. We absolutely love living in Starkville and consider it a privilege to share our home so others can experience this town as well. Please contact us at anytime with questions or how we can make your stay more enjoyable! Very well stocked with all you could need. Wonderful home! Had everything we needed! Could not ask for a better place for our family to stay for football game weekends! Very nice home and good location. The house was very nice and comfortable; perfect for a group coming to Starkville for a game weekend. Excellent hosts, very clean, 100% recommend. Great place to stay in Starkville! We came up for a game and stayed here. 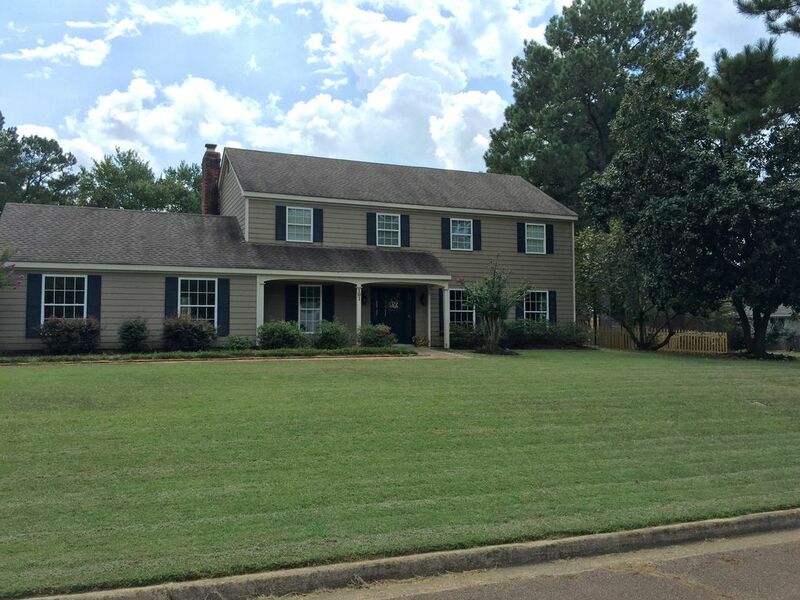 The house is in a very nice/safe neighborhood and is only a few miles away from everything in Starkville. The house is very clean and well laid out. The family does a great job of giving clear/easy directions. Thank you Kaylee! Clean comfortable and lovely! Very generous owners who shared yard with a swing set, kitchen, toys, and a playroom with our family of 8 (twin 2 year olds who felt like they were at toys are us). We all felt so at home and enjoyed the kitchen family room combo as well as eating together in the dining room. I would highly recommend this home to younger older and in between! Thank you for making our trip to Starkville absolutely perfect! Kaylee was more than accommodating and we had a fantastic Thanksgiving in Starkville! The house was just as advertised and offered everything we needed for a Thanksgiving getaway (except an Egg Bowl Win). Thank you Kaylee! We had a awesome time. Kaylee was great to work with. Couldn’t ask for a better back yard. Clean house, everything was kept nice. I would rent again.